Every day, young women around the world are changing the world! There are many Christian girls who didn’t let the fact that they were teens (or tweens) stop them from pursuing the passions God had given them. Here are a few of these Girl Heroes that we’d like to shine a spotlight on. Lauren Etchells Emily Mitchell in the movie “Courageous”. Taylor Hutcherson Jade Hayes in the movie “Courageous”. Alena Pitts Danielle Jordan in the movie “War Room”. Lily Garay singer and songwriter of “My Heart Beats”, became G4C’s Assistant Editor! Want to hear about more girl heroes? 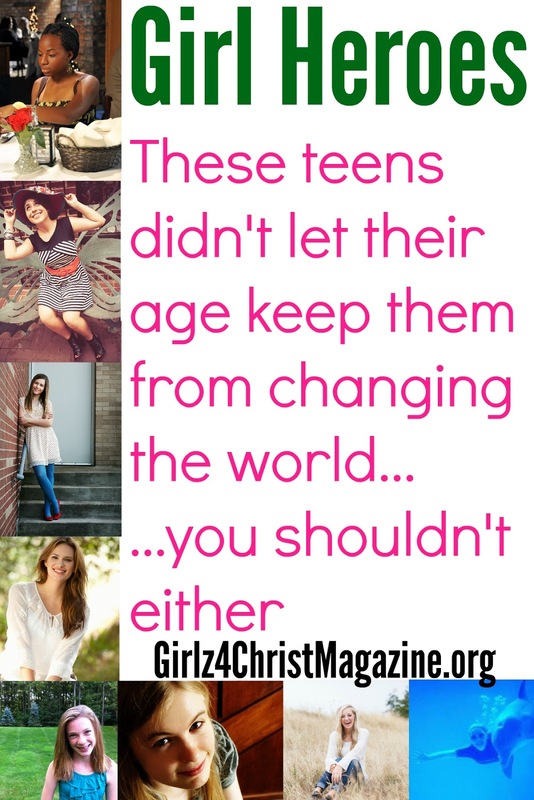 Look no further than the pages of Girlz 4 Christ Magazine. We feature inspirational young women in every issue! We’re always on the lookout for Girl Heroes who are making a difference for His Kingdom, so let us know about anyone who you think we should shine a spotlight on!